It takes you forever to choose a filter. 1. You’re used to eating your food cold. Doesn’t matter how starved you already are, you won’t take even one bite until you’ve snapped the perfect #foodstagram from the perfect angle. Sometimes, you’d even strategically rearrange the dishes and the utensils to look more double-tap worthy. This is especially true whenever you order something at a restaurant. 2. It takes you forever to choose a filter. The filter is VERY important. It can make or break your Instagram post, so you think about it very carefully whether you should go for VSCO’s A6 or HB1. But S2 looks pretty cool, too! Maybe it’ll work if you tweak the saturation level a little bit... Hmm. 3. It takes you forever to caption a photo. Should you tell them about the funny story behind the photo, or should you go for something short but smart? Maybe a pun will do the trick. No, maybe just some fancy word that sounds cool, like “wanderlust” or “legit.” And oh, should I use a hashtag for this? 4. You overthink when to post on Instagram. Scenario: It’s already past two o’clock in the morning and people are mostly asleep. Might as well postpone it ‘til tomorrow and wait for primetime before hitting that Share button. It’ll be such a waste to do it now because no one will see it anyway. 5. You’re always chasing after daylight. 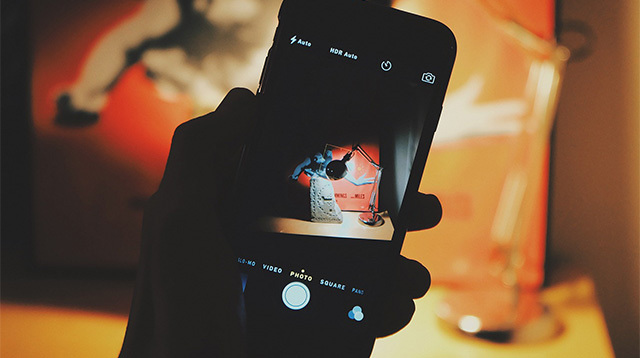 Whether it’s an OOTD or a flatlay, you need to shoot it before it gets dark. Otherwise, you’ll have to rely on your built-in camera flash that is so not IG worthy, and which, we all know, is not an option. Natural lighting is key. 6. You’re always on the lookout for an LTE signal or a Wi-Fi zone. No Internet means no Instagram, and it drives you nuts not being able to check every five minutes how many likes you scored in your last post. They might as well ship you off to Timbuktu, for crying out loud. 7. You have OC tendencies when it comes to your Instagram grid. You look at Instagram not per photo but as a whole. It’s like a fashion editorial—everything has to be cohesive. Your feed can only either be washed-out, black and white, or colorful. You tell yourself that you can only go one direction, or it’s going to ruin everything else. 8. You think everything needs to be on Instagram. Yeah, because if it's not on IG, then you have no proof that it actually happened.